The Insulator Spindle No.8 for a single insulator. 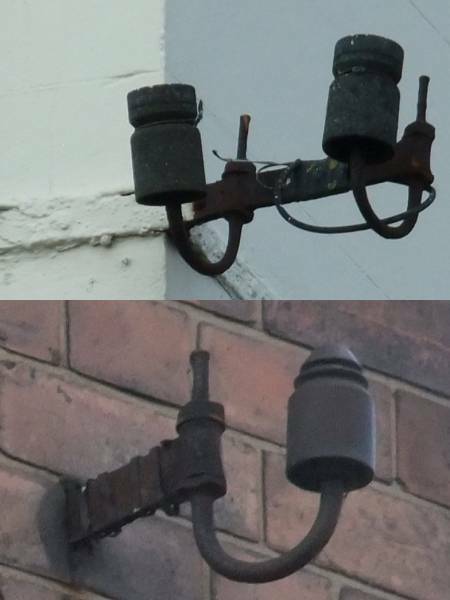 Fitted in pairs in a bracket No.2 (wall) or on pole arms. Used in preference to a No.4 to reduce the torsional effect on the bracket of a long span of open wire.